You are here: Home / Latest News / News / Free Games To Encourage Outdoor Play! Free Games To Encourage Outdoor Play! We all know that active outdoor play is essential to the development of healthy children. But getting enough of it is a problem with which most modern parents are familiar, especially when trying to balance this goal against their kids’ desire for more screen time. Biba is a mobile game system that blends the digital play that kids love with the active outdoor play and joyful imaginative fun that parents remember from their own childhood. For parents who are concerned that their kids are spending too much time sitting still in front of a screen, Biba is a game-changer. Biba gets kids back to the active, real world play that leads to healthier lifestyles through longer, repeated and more intense play sessions! 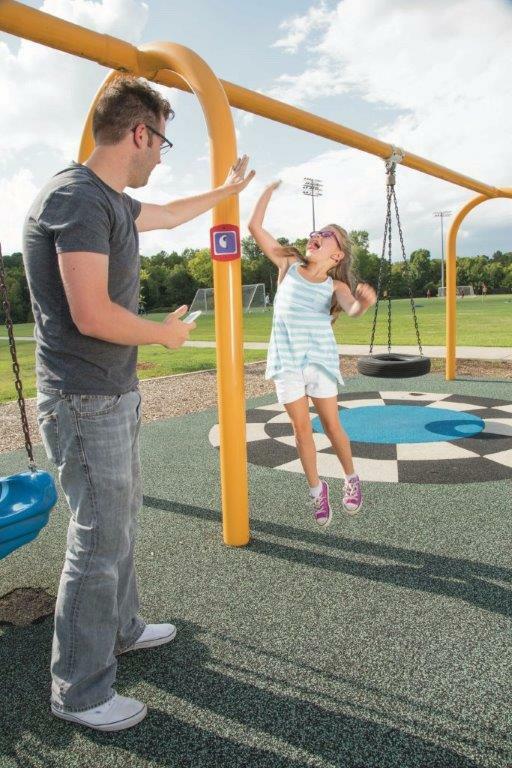 Canada’s leading play equipment company, PlayPower Canada, has just launched this exciting innovation. The Welcome Sign and Play Symbols are available for purchase through your local representative, and the games are available for FREE at the App Store or Google Play. 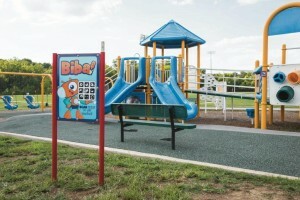 Look for the Biba sign at PlayPower Canada playgrounds and join in the fun.